Probably one of the things I (the parent) love most about these toys is how easy they are to get out of the box! If you have girls in your house, or have ever had the pleasure of opening any Barbie or other toy doll, you probably know very well the frustration and cardboard cuts that come every time you have the joy of taking the new treasured toy out of it's Fort Knox-like box. Bandai packages each of their 6" figures perfectly to keep them safe till you get them home. 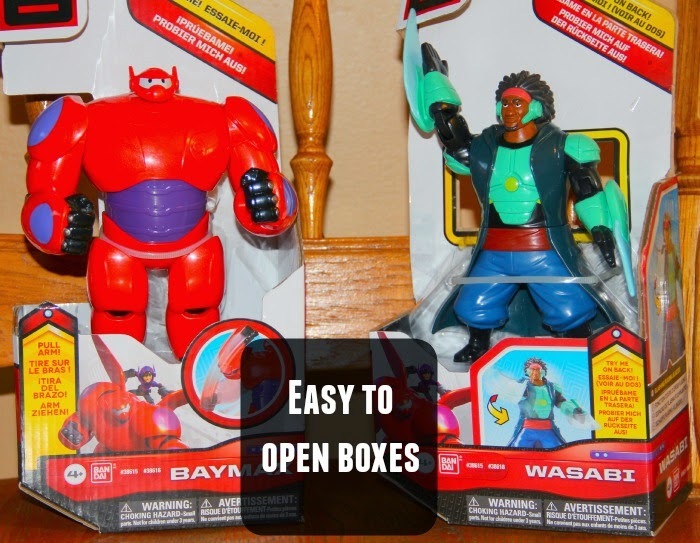 Then, with just one easy snip of the scissors over the single plastic band keeping the figure in place, your Big Hero 6 character is free and ready to play! The 6" Baymax character is super easy to use! 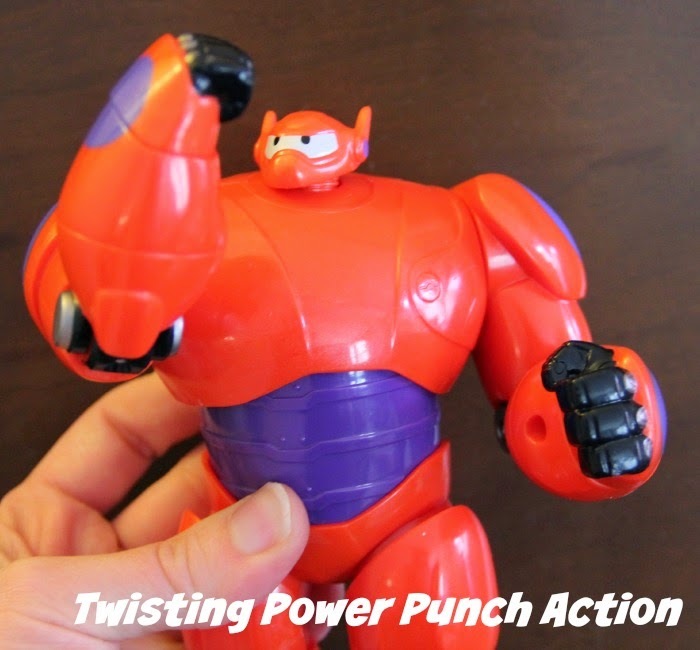 With a simply twist of his midsection, Baymax's arm moves upward with a "Super Punch" motion. He is absolutely adorable, brightly colored and looks exactly like the lovable character we have all grown so fond of! 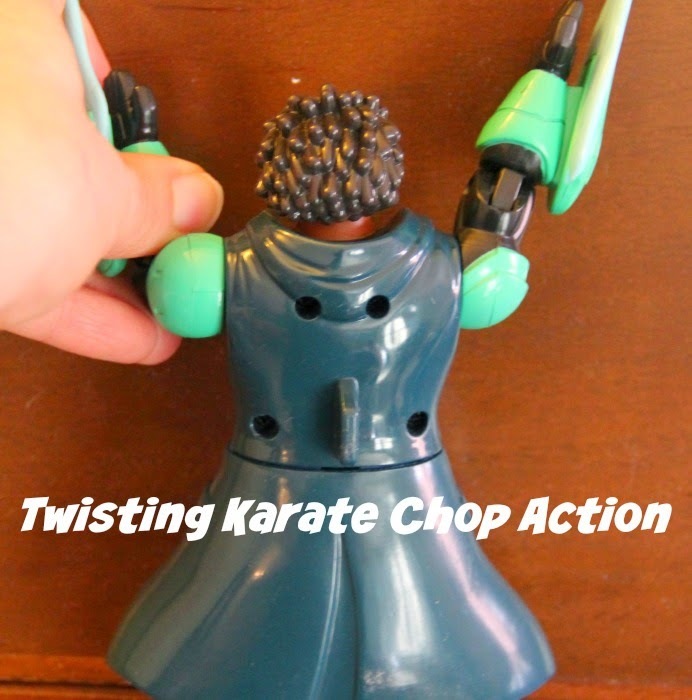 Wasabi is even easier to use because he comes with a small handle, easy to grip with the thumb and forefinger, Wasabi can then be twisted from side to side and Wasabi's arm coming down with karate chop action. These characters are especially great for younger kids! My 2-year old son has no problem working each of the heroes and he and his older brother (5-year-old, Elijah) not only use them on crime fighting adventures, but they enjoy using them in character to character combat from time to time. My boys have been busy at play with these guys for over a week now and so far, they seem to be holding up pretty well. From time to time, Baymax's arm will get stuck, but it has twisted free without any problems. Knowing how hard my boys are with their action figures, there could be some improvement on the thickness of the plastic, but as I said, so far, no issues with cracking or breaking (and Baymax and Wasabi have been in quite a few tough hand to hand combat situations already). If you are looking for a more complex action figure (with lights, sounds etc.) 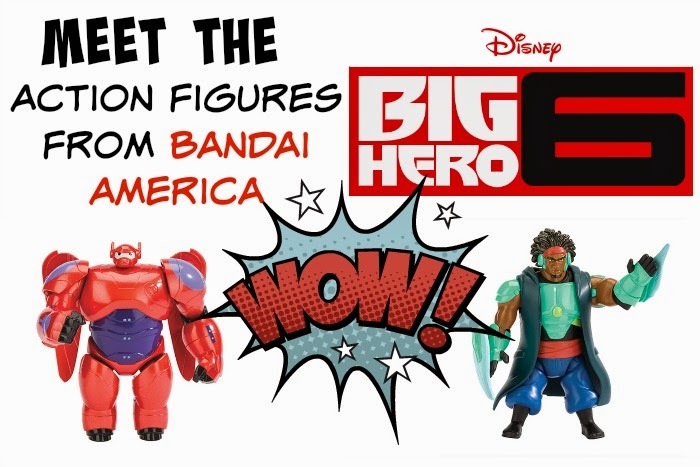 you might want to check out some of the other Big Hero 6 toys from Bandai America. These characters may not to much in the way of additional features, but with a suggested retail price of only $12.99 each - these characters are great for any budget and especially perfect for encouraging creative play in young kids. Check out all of the Big Hero 6 toys at Bandai.com! Not only does Bandai provide Big Hero 6 fun, but you'll also find some other favorite friends like The Power Rangers, Pac Man, Tamagotchi Friends and more! Make sure to follow Bandai America on social media to hear about all of their latest promotions and products!